I got the macro function to work better on the camera so you can now see the castings of the plasma engine nozzles for the Princess Cecile. 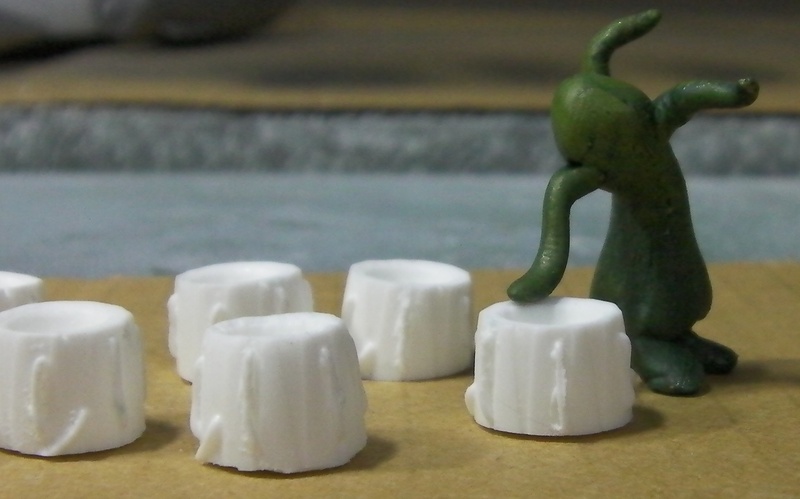 Along with them is one of the little tripod-aliens that will go in the Apollo 27 diorama. I did ten castings of the nozzles, and will only need eight. 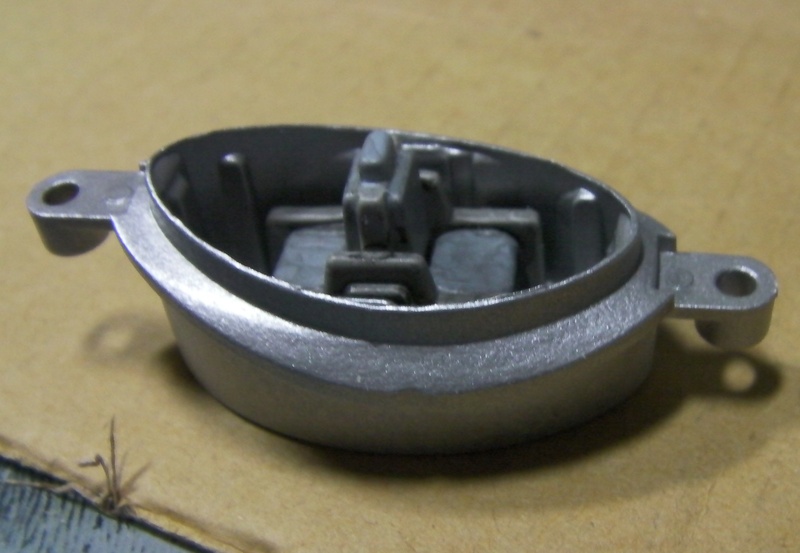 I think I will build a box for the bottom of the ship and attach the nozzles to that…it will give me a flatter surface. Otherwise I would need to recess part of the nozzles or angle them, and I like neither of those options. I have some plastic sheet and can build the box for the bottom pretty easily, I think. I put the thruster cluster on top of some cut up pieces of the first mold I made. I poured some rubber around them. Then I poured rubber over it. I will cut the mold apart once it’s cured. Since it’s a small part, I hated to spend all the time doing the two-part thing. Images of that when I get it done, if it works. He’s the other one. (She?) More detail will be included later. 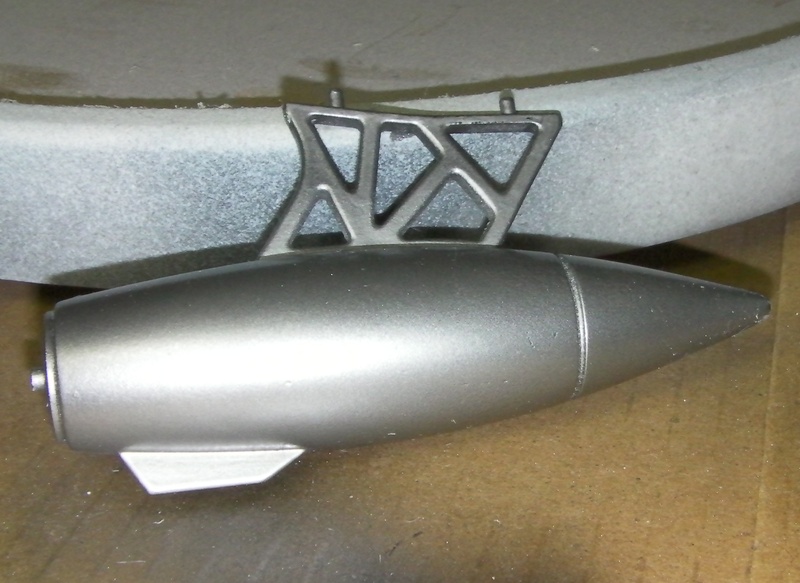 It will still get buffed once the lacquer is cured, then sprayed with Testor’s Metalizer Sealer. I may add some Metalizer weather effects later. So the Princess Cecile work continues. 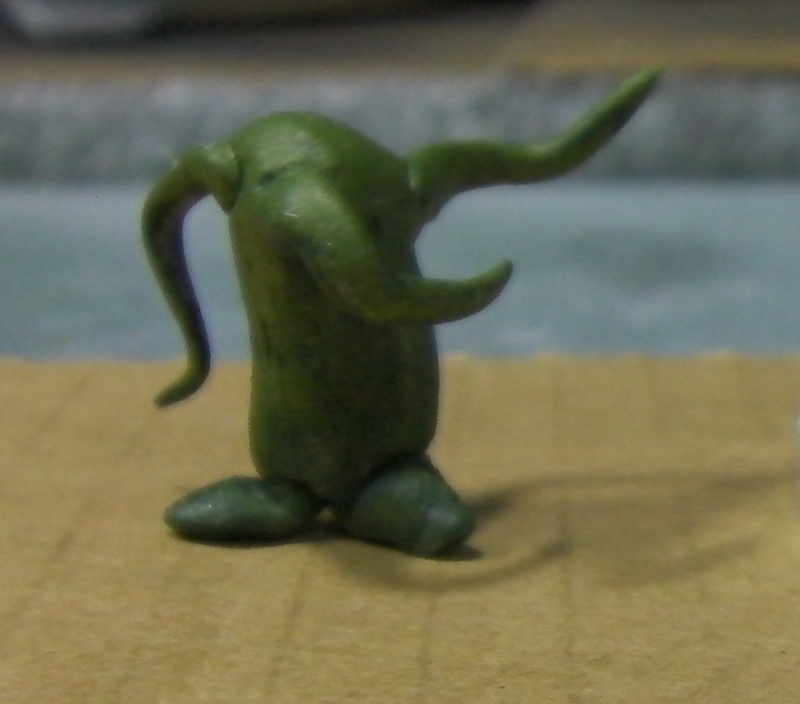 I’m just glad that the resin castings worked out so well.